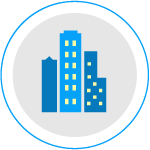 The City Benchmarking Program is designed to automate compliance management, reporting, and data analysis for cities managing Energy Star Portfolio Manager® based benchmarking initiatives. Developed in collaboration with the City of Chicago and Institute for Market Transformation to manage benchmarking report data for over 3,000 buildings, the City Benchmarking Program minimizes administration costs and enables on-demand data analysis and reporting. This Program also automates the generation of intuitive energy-use comparison reports driven by the Architecture2030 ZeroTool and Zero Energy Performance Index (zEPI). By automating the compliance management and reporting process, Maalka maximizes program engagement and impact and minimizes cost. The Firstview™ Portfolio Diagnostics Program is ideal for cities and municipalities that want to save money and time as they improve the energy efficiency of their building portfolios. The Program is driven by industry leading analytics developed over two decades by the New Buildings Institute (NBI) and supported by Maalka data collection, validation, and reporting capabilities. Each building in the Program will receive an automated NBI FirstView™ Report, which provides data-driven performance comparisons to similar buildings across the country and advanced analytics that help your city prioritize energy efficiency investments and improvement strategies. With the Portfolio Diagnostics Program, you can follow an established EE framework adopted by cities across the U.S. The KAVA™ Energy Efficiency Analysis Program helps you set energy efficiency investment and improvement strategies for buildings across your portfolio. The powerful KAVA™ engine automatically creates a fully calibrated energy model for each building in your portfolio and tests thousands of scenarios to determine the most cost-effective way to reduce energy-use and save money across your portfolio. Co-developed with the Department of Energy National Renewable Energy Laboratory (NREL), KAVA™ is the most accurate and powerful simulation based tool on the market. Designed in collaboration with the Award Winning Retrofit Chicago team, the Better Buildings Challenge Program is perfect for cities and organizations that are tracking progress towards energy-use and emissions reduction goals. Maalka automates the generation of truly engaging reports that communicate progress towards goals and provide alerts to building stakeholders if they are off track. Powerful built-in data validation and analytics enable progress tracking that aligns with Department of Energy Better Buildings Challenge guidelines, allowing individual baselines to be managed for each building and progress to be compared across buildings in the Program. With Maalka, program administrators can maximize engagement with building stakeholders to assure that goals are reached. Maalka was born from years of closely collaborating with internationally-recognized leaders in Sustainability, Energy, and Commercial Real Estate. Open, secure, scalable, and workflow-oriented, the Maalka Platform is enabling cities and organizations around the world to deploy data-driven programs that align with proven frameworks developed by industry leaders. Maalka Technology makes data-driven program management easy and affordable for everyone. Working with lots of data can get messy. The Maalka Platform is there to guide your organization along automated workflows to ensure that data across your portfolio is accurate and up-to-date, buildings are progressing towards goals, and participants are fully engaged. The workflows enable your organization to deploy a range of programs developed in collaboration with industry-leaders or to develop your own custom program based on your own goals and data. Data is continually collected and combined from a variety of program sources: Data Warehouses, APIs, CSVs, User Surveys, and Sensors. Data quality is assessed in real-time to guide users in identifying and correcting invalid data. Data is analyzed using program specific algorithms to measure progress toward goals. Trends are visualized for buildings and portfolios to identify opportunities for improvement. Teams are engaged with reports designed to help guide them toward achieving program goals. Maalka workflows follow principles developed over the last decade from working with international sustainability leaders to significantly simplify sustainability program management. The Maalka Platform is based on the principle of continuous expansion - start with a basic program that works for you and add new programs when you're ready. The Maalka Classic program gets you started with easy-to-follow workflows for data collection, validation, analysis, and visualization. Once deployed, you can easily add new programs that align with internationally recognized best practices. For example, you can track progress towards Energy, Water, and Carbon reduction goals following the 2030 District Framework or you can launch an Energy Benchmarking Ordinance based on workflows developed by the City of Chicago. 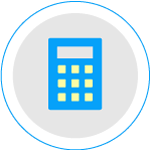 Track progress towards energy-use reduction goals based on your monthly utility data connect with Energy Star Portfolio Manager. Automating the reporting of progress towards energy, water, and carbon reduction goals following the 2030 Districts Framework. 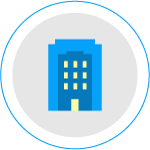 Enabling the simplified collection of building audit data, including systems and energy efficiency measures. Automating data validation and compliance assurance for the City Benchmarking Ordinance that spans 3,000 buildings. Providing 23 Agencies access to advanced building energy analytics developed by the City University of New York. We're always adding new programs designed by trusted industry leaders so that you can continually and confidently improve your buildings. Maalka is partnering with industry leaders like Cushman and Wakefield, Green Buildings Alliance, and the New Buildings Institute to develop new programs for Carbon Mitigation, Health Tracking, Strategic Energy Management, Waste Reduction, and more! The Maalka Platform allows you to continually expand sustainability programs across your portfolios to positively impact more participants and buildings. "The tool they (Maalka) have built is unlike any other database I have experienced, and provides a level of human interaction and energy diagnostics that enable multiple layers of data display and management." "Maalka's team quickly grasped the analytical challenges facing our program, and we are consistently impressed by Maalka's collaborative and effective approach to platform design and rapid iteration to meet program needs." "We have been consistently impressed by Maalka's ability to rapidly advance its technology based on the needs of building owners and managers, districts, and cities... Architecture2030 is expanding its engagement with Maalka with additional contracts for tools to support scalable decarbonization in the building environment." Science, Policy, and Technology - these are the key ingredients needed to revolutionize the commercial building industry. The maalka core team brings these fields together through their experience and training. Rimas Gulbinas, PhD is a Department of Energy Building Innovator. 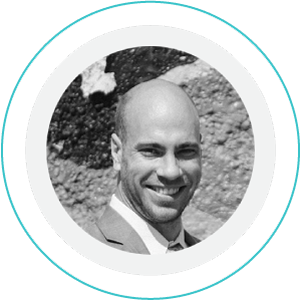 Combining his analytical expertise with a deep understanding of building operations and tenant relationships, Rimas helps to define Maalka's features and functionalities. As a White House Presidential Innovation Fellow, John Teeter helped define how the federal government will meet our national energy efficiency goals. 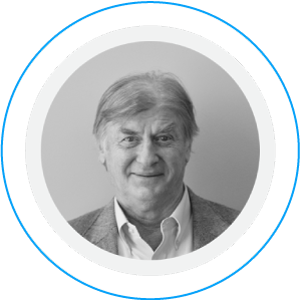 He brings that vision to the Maalka team along with years of experience in the fields of science and technology. 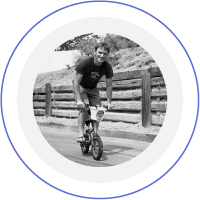 Clay Teeter brings decades of experience building highly scalable software systems to Maalka, optimizing the Maalka platform to uniquely handle data streams for thousands of buildings at a time. Copyright © 2019 maalka™ inc.